Have you noticed unattractive white buildups on the spout of your taps and the inside of your kettle? When you go to wash your hands, does your soap give you more of a scum than an imperial lather? Struggling to get your plates and clothes properly clean? If so, you're not alone! Across the UK, an estimated 65% of the population live in an area supplied with hard water, which means that they're also living with the problem of limescale. Hard water is caused when water runs through limestone and chalk - rocks containing high amounts of the minerals calcium and magnesium. When these minerals become dissolved in water, they counter the lather-forming properties of soap, instead causing a scummy substance to be formed when you wash your hands. The high concentrations of calcium and magnesium found in hard water can also result in the buildup of scaly deposits on the inside surfaces of your pipes, boilers and household appliances, which can cause a number of problems. Deposits of scale can reduce water flow in pipes, causing an increase in pressure which can result in a costly leak. What's more, while drinking hard water isn't directly harmful to your health, scaly formations can create biofilms in pipes which can harbour bacteria, increasing the risk posed by dangerous illnesses such as Legionnaires' Disease. As well as the threats hard water poses to your health, it can also be unhealthy for your bank balance. In boilers, scale deposits impair the flow of heat into water, reducing heating efficiency and allowing metal boiler components to overheat. In a pressurized boiler system this may even lead to the failure of the boiler. The issue also affects appliances such as kitchen kettles, which take much longer to boil when filled with scale. As summarised by British Water, "Doing nothing to counter the problems that hard water causes is probably the most expensive option [when it comes to dealing with hard water] due to the reduced efficiency of water heaters, extra energy and maintenance costs." When it comes to treating hard water, you first need to consider the type of hard water you've got. If you've only got temporary hardness and the water is going to be used for drinking, it can be easily removed simply by boiling. This should result in a scum being formed on the surface of the water, which can be easily sieved away. On the other hand, treating permanent hardness, which cannot be removed by boiling, will require a water softener or ion exchange column. 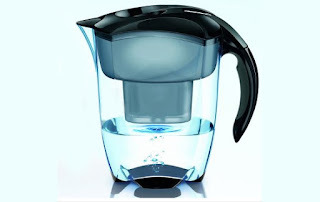 These work by replacing the calcium and magnesium ions that cause hard water with other ions such as sodium and potassium, leaving the user with soft water for use around the home. Water filters are another option for softening water and removing impurities. As they can be applied to kitchen and bathroom taps, filters can be a good solution for washing hands and dishes, allowing soap to form a decent lather. As a water softener is only effective with proper installation, ensure you get it fitted by a professional so that you can enjoy the benefits of soft water for the years to come. Getting regular maintenance on your household plumbing will also prevent your water heater from degrading, keeping your pipes flowing freely all year round. Find a Quality Plumber in your local area on the APHC website, at http://www.aphc.co.uk/find_an_installer.asp.